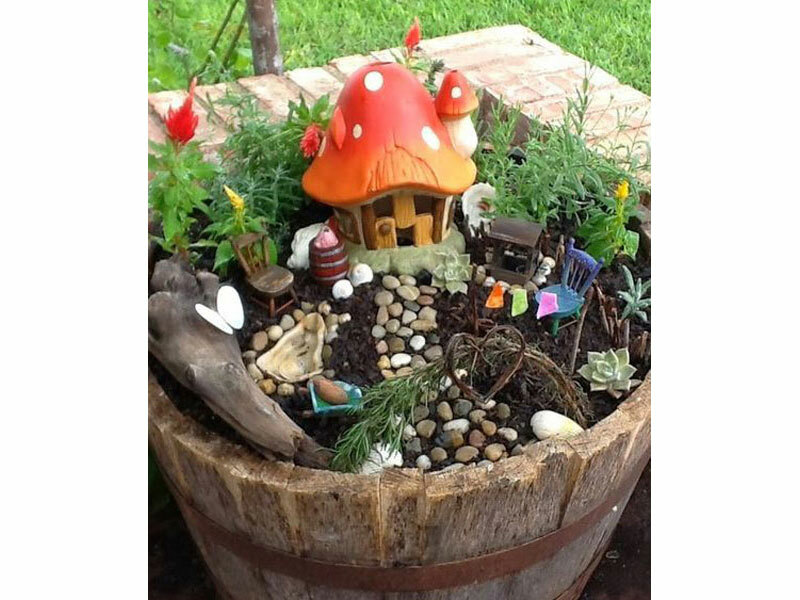 Fairy gardens are now something of a trend on Instagram and Pinterest, much to my adult’s hearts delight! Now I’m going to share this magical childhood fantasy with my own sons by creating a fairy garden with them. You can use anything and everything to create a fairy garden. Marbles, little toys, broken garden pots, moss, leaves, shells and pebbles – your child’s imagination is the limit! Here are 11 enchanting miniature gardens to create some fairy magic with your little one. Bring a little magic to your garden by creating this fairy house with your kidlets. Think pebbles for a path, toy furniture and small plants.